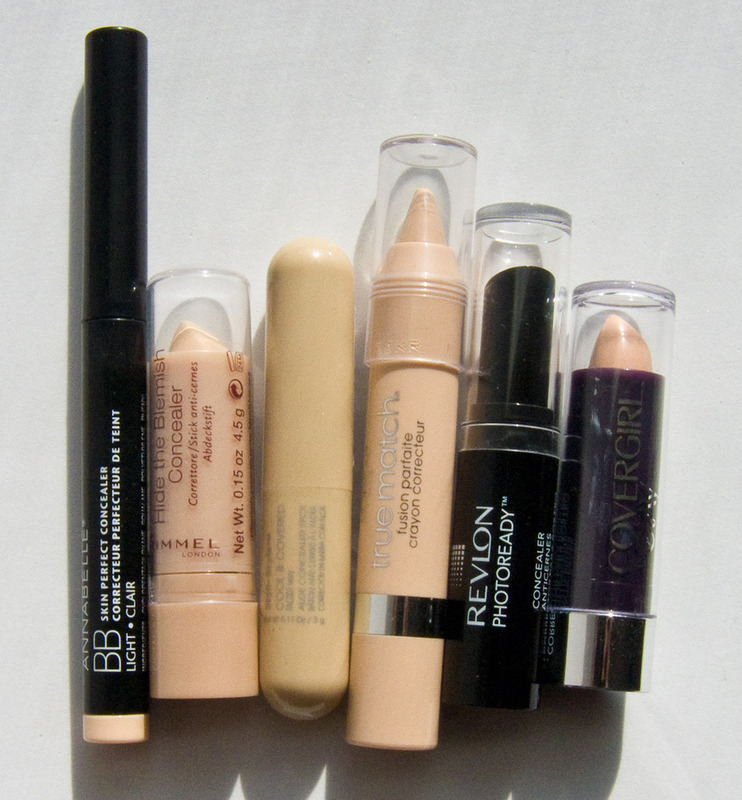 Styli-Style COOL & COVERED - Aloe Concealer in Ivory (Light), L'Oreal True Match™ Super-Blendable Crayon Concealer in N1-2-3 (Fair/Light), Revlon Photo Ready Concealer in 0001 Fair, Covergirl and Olay concealer Balm in 310 Fair. Annabelle BB Skin Perfect Concealer in Light I picked up for $9.99CAN at Zerhs but retails for $12.50CAN as a suggested price. Rimmel Hide The Blemish Concealer in Neutraliser 201 (fair shade) I also got at Zerhs for $7.99CAN. Styli-Style COOL & COVERED - Aloe Concealer in Ivory (Light) was $10.99CAN at Rexall ($5.99US) however Rexall stopped carrying the line last month so you can't buy this in Canada anymore (BOO!). L'Oreal True Match™ Super-Blendable Crayon Concealer in N1-2-3 (Fair/Light). Retails for $8.95 US or $12.99CAN at Walmart. Revlon Photo Ready Concealer in 0001 Fair $9.99US and $12.99 at Zerhs. Covergirl and Olay Concealer Balm in 310 Fair retails for around $8US and $10.99CAN at Zerhs. Annabelle BB Skin Perfect Concealer in Light is pretty opaque concealer and has a dryer/waxier base to it. Rimmel Hide The Blemish Concealer in Neutraliser 201 is a creamy finish concealer and fairly emollient. Styli-Style COOL & COVERED - in Ivory is also a waxier based concealer and dryer on the skin to apply. 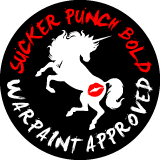 I also apply fairly opaque. 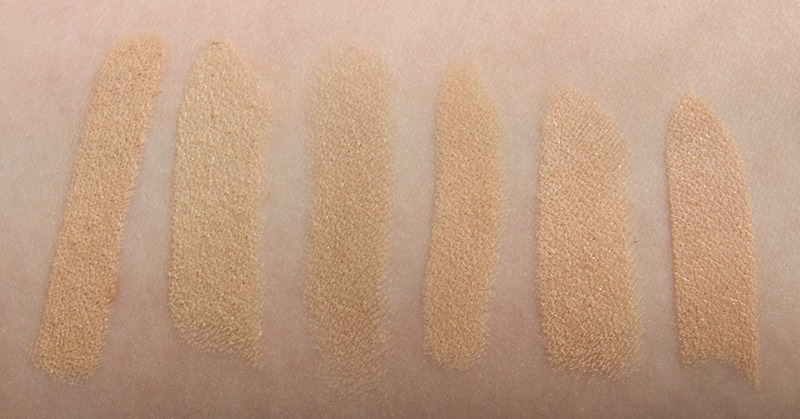 L'Oreal True Match™ Super-Blendable Crayon Concealer in N1-2-3 is a waxier base concealer but also slightly sheer. Covergirl and Olay concealer Balm in 310 Fair is also a creamy finish concealer and fairly emollient as well. It has good coverage. Rimmel Hide The Blemish Concealer in Neutraliser 201 (fair shade) is a true neutral shade that is closer to NC15 but is less yellow tone. Styli-Style COOL & COVERED - Aloe Concealer in Ivory (Light) is also a neutral skin done that is darker then the Rimmel one. L'Oreal True Match™ Super-Blendable Crayon Concealer in N1-2-3 (Fair/Light) is a warm tone that is slightly lighter then the Annabelle one. Look more like a MAC NC25 in shade. 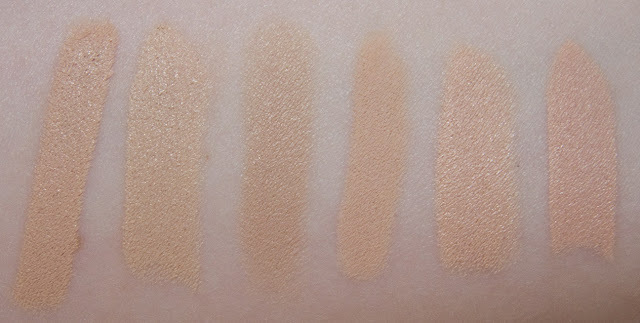 Revlon Photo Ready Concealer in 0001 Fair is a warm/peach tone shade as well. Covergirl and Olay concealer Balm in 310 Fair is the darkest out of all of these with a strong peach tone to it. Annabelle and Styli-Style were close to 6-7 hours wear without a powder to set it. Revlon Photo Ready and L'Oreal True Match™ Concealer were close to 5 hours wear without a powder to set it. Rimmel and Covergirl and Olay were close to 3-4 hours wear without a powder to set it and has a tendency to separate slightly. Packaging: All are twist up crayons or lipstick size bullets. & Covergirl and Olay Concealer Balm in 310 Fair. Flash swatches: Annabelle BB Skin Perfect Concealer in Light, Rimmel Hide The Blemish Concealer in Neutraliser 201 (fair shade), Styli-Style COOL & COVERED - Aloe Concealer in Ivory (Light), L'Oreal True Match™ Super-Blendable Crayon Concealer in N1-2-3 (Fair/Light), Revlon Photo Ready Concealer in 0001 Fair, & Covergirl and Olay Concealer Balm in 310 Fair. I originally have photo's of these covering my dark circle but for the most part they all looked the same to me when you first apply these which was 90% converged over the blue on their own. My favourites are Revlon Photo Ready Concealer if for dry skin and for longer wear time the Annabelle BB Skin Perfect Concealer or if your have oilier skin.